Have you been in an auto accident? Are you unsure of what your next steps should be? If you haven't been obviously injured, it does not mean you haven't been injured at all. There are all kinds of soft tissue injuries that are common in car accidents, and the signs and symptoms of most of them do not start to show up until a few days after the accident. If you have been in a car accident, but don't seem to be injured, don't take the chance that the symptoms of soft tissue injuries will sneak up on you. Instead, do the correct, proactive thing, and schedule an appointment with a car accident doctor, such as our chiropractor in Austin, right away. An automotive accident can leave you with serious injuries that may never heal properly without chiropractic care. Therefore, it is important to seek care immediately after an accident occurs. Otherwise, you could suffer from neck and back pain, along with a host of other injury complications, for years to come. Whiplash is a common soft tissue injury caused by car accidents, but there are others. You will soon start to feel soreness and stiffness in your muscles, your range of motion may diminish, you may get some inflammation in the injured area, and you might eventually experience severe and long-lasting pain there. Of course, this is what can happen if you don't take the appropriate first step after a car accident that doesn't involve an obvious injury. With the help from one of our chiropractors, you can rest assured that you will receive the following benefits. The forces endured during an auto accident often cause the muscles, tendons and other structures to sustain serious damage. When this happens, you will be left with serious neck and back pain. Whiplash, in particular, can cause severe pain that impacts your ability to participate in personal and professional activities. A chiropractor in Austin, TX, can help you recover from the injuries, causing your pain levels to drop considerably in just a few visits. The bodily damage sustained in a car accident can cause serious complications without prompt auto injury treatment. You can keep whiplash and other issues from developing into lasting issues by acquiring care from your Austin chiropractor. The chiropractic care will realign your skeletal system and reduce pressure on your bones, joints, and muscles. When your system remains in proper alignment, the damaged tissues can receive healthy blood flow that prevents the injuries from worsening over time. With professional car accident injury treatment from a TX Austin chiropractor, you can recover from your injuries much faster than those who do not seek care. You will need to commit to a series of appointments that allow your Austin chiropractor to make gradual adjustments to your system. The adjustments will slowly bring your body back into a proper alignment, which facilitates the full healing of your soft tissue injuries as well. How Can a Chiropractor Help After an Auto Accident? A chiropractor is an expert in diagnosing and treating soft tissue injuries. Immediately after your car accident, once you've talked to your local police department and your insurance company, whether you were the at-fault party or the victim, call a chiropractor. If you live in Austin, you will want to call Whitehead Chiropractic. Get in there before any symptoms of a potential soft tissue injury manifest themselves, and you may save yourself a ton of pain and suffering down the line. Your chiropractor will take x-rays of your spine, test your range of motion, examine you for painful areas, look at the way you stand and walk, and feel for any inflammation. Tight or tense muscles can also be pinpointed, as well as any muscle swelling, bruising, or painful movement. The x-rays will show if any of your vertebrae were thrown out of alignment by the accident. Once your chiropractor knows what your issues are, treatment can begin before the symptoms appear. Treatment will depend on your particular injury, and may involve chiropractic adjustments, massage therapy, physical therapy, or other treatments. The important thing is that you will be taking a proactive step toward healing at the beginning, when it's easiest to heal fully and well. If you were involved in a minor to a severe automotive accident, acquire care from your Austin chiropractor at Whitehead Chiropractic by calling 512-451-0015. 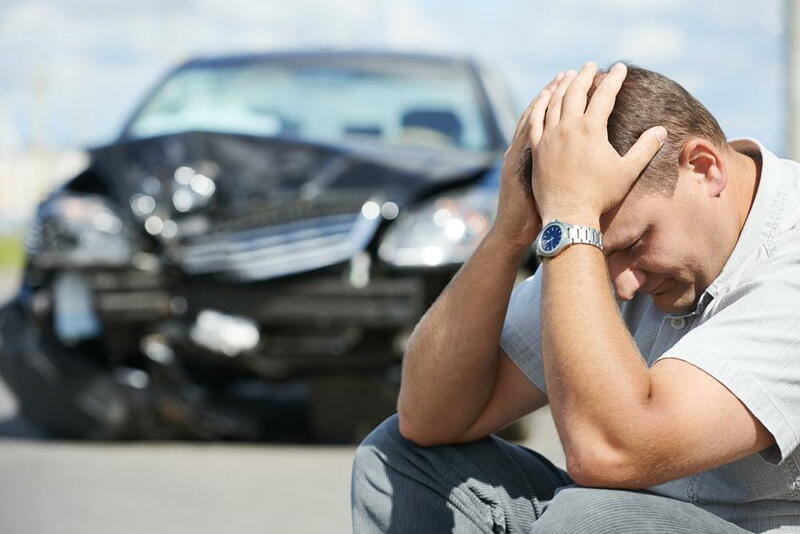 We will help you find the best auto injury treatment option by evaluating your injuries and overall health status. By working with our chiropractors, you can quickly heal from your car accident injury, including whiplash and back pain.